Magical Memories at The 2014 Disney Social Media Moms On The Road Celebration in Philly ! Well, Disney did it again! They spread their pixie dust and magic to more than 100 social media moms (and a few dads too) at the Disney Social Media Moms On The Road Celebration held on June 19th in Philly.For the past several years, Disney has hosted an annual Disney Social Media Moms Conference at one of the Disney resorts. This year, they also took their magic “on the road” to several cities in the U.S. Luckily for me, one of those cities this year was Philly…just a hop, skip and a jump away from me. 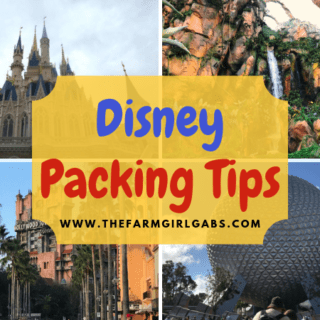 As a true Disney fan, I had followed this event, geared specifically towards mom bloggers and social media experts, in the past. When I launched my blog in April, the application process to attend this experience was in progress. I took a chance, applied, and magically (pixie-dust and all) was selected to attend. I’m still in awe that I was one of the chosen few. THANK YOU DISNEY! For me, this event was wonderful learning experience, not just for getting a behind the scenes peek at the Disney Social Media and PR team’s creative processes but for personal growth as well. The speakers were wonderful and offered great insight into their success. Prior to the event, we were encouraged to “Rock Our Disney Side” , so I did….Minnie ears and all! The ambiance of the event was pure Disney. We were spoiled with Disney-themed music playing in the background, tables decked out with Disney stuffed animals and décor, and even Mickey Rice Krispy Treats. The event kicked off with a pin trading ice breaker. I ended up with a Oswald pin, which is a nice addition to my Disney pin board that hangs my laundry room. Some of the Disney goodies we received. The My Magic+/Magic Band is fully operational now. This Magic Band wrist bands are for all resort guests. It serves as your resort room key, park tickets, fast pass+ reservation, dining reservation. Your credit card can even be linked to it to charge a resort or park purchases. My family and I had the opportunity to use them when we visited in March and they are pretty cool. The New Fantasyland is finally complete. The Seven Dwarfs Mine Train ride is the final piece to the puzzle. The ride officially opened in May. It looks like a rocking good time. As part of the ongoing publicity, you can enter the Be The 8th Miner Contest at www.bethe8thminer.com. One lucky winner will win a trip to Walt Disney World. Give it a shot. Who knows? Maybe it will be you. How cool would that be! There’s a new parade in town! The Disney Festival of Fantasy parade features new floats, tons of cool characters and even a fire-breathing dragon…a.k.a. Malificent. Gary is such a dynamic person and I think everyone in the room would love to have his job, or that of any other Cast Member! He taught us that part of the magic of Disney is seeing the world through the eyes of a child. Emotions create sharable moments and Disney is all about emotion. I can still remember the first time my kids caught site of Cinderella’s Castle. Their expressions were priceless. It still brings tears to my eyes when I think about it. These emotions are what life’s all about. We were then given an inside look into Disney’s blogging process by Jennifer Fickley-Baker, lead writer for the Disney Parks Blog. The team’s goal is to tell stories in new an innovative ways to capture attention. She recommended that we write blog series so it keeps your readers coming back for more. The Behind the Scenes blog series was the first of it’s kind and features behind the scenes look at the new Fantasyland construction and other “behind the scene” happenings throughout the parks. Other popular Disney blog series include food & beverage, fashion, Imagineering, Disney Parks After Dark and technology. Check them out. They are really informative. Jennifer then went on to explain how the 140 Character Ultimate Tweet was created to launch the 24 Hour All-Night #DisneySide party. It was retweeted more than 2,000 times. Here is a short video of how it all came together. Hewlett Packard was an additional sponsor to the Disney Social Media Moms conference. Noah Lomax presented about the versatile features of their wireless printers and some innovative ways they are helping busy moms…like having ink automatically shipped to your house when your supply is low and their TwoSmiles print at home card and gift card program. Each guest received a custom #DisneySide photo card. Don’t you just love the Mickey stamp too. Thanks HP! Next up, Victoria Lim, a member of the Disney PR team, gave us practical tips on taking photos and videotaping. Here are a few things I am going to work on: make sure your lens is clean (I always forget to clean mine), take steady shots and try shooting images from different angles. Victoria also talked about her favorite FREE apps for iPhone which Dropbox, Disney Memories HD, PicCollage & Photogrid as well as the iPad apps Magisto, Videolicious and Cute Cut. As a self-proclaimed tech-junkie, I love technology advice. I will definitely be following some of her suggestions and downloading some of these apps. The Panel of “Mompreneurs” which was moderated by Maria Bailey of BSM Media spoke next. Her company, which coordinates the Disney Social Media Mom’s events, has been producing award-winning Mom Marketing programs for over a decade. Maria’s advice to all of us was key. “Be PRESENT in your children’s presence. Look at the white of their eyes when they are speaking and focus all your attention on them.” encouraged Maria Bailey. Great food for thought. They grow up so fast. Kristi Gorinas, a past Huggies MomInspired Grant program winner, invented the Dad Pack. It’s a back pack diaper bag with easy access to wipes. Kristi told us that failures lead to success. Amy Bradley, creator of the Toy Dozer, a toy clean up set that helps make the job fast, easy and fun for everyone. Jen Groover, invented the Butler Bag, a compartmentalized purse for busy moms. Jen offered this great advice. “It is important to have someone in your life that supports your ambitions. Delegate weaknesses so you can focus on your strengths. Fear holds people back but fear of regret is worse.” Groover explains. To cap off this wonderful morning, Deb Silber, The Mojo Coach, inspired all of us to work towards a more healthy and active lifestyle. Her key points were that every choice you make either brings you further or closer to the body you want and your mindset is the next step to success. As busy moms, we must all make the time to exercise. If not, we never will find time to. As Henry Ford once said, “Whether you think you can, or you think you can’t, you’re right.” Our belief system shapes us both physically and mentally in all aspects of life. “Your belief system is no more than the repetition of an idea from someone you trust,” Silber says. The lessons I learned and advice I received from this conference will last a lifetime. It was an amazing experience, and not just because I love Disney. Kudos to the planning team for knocking it out of the park. I left feeling confident, inspired and motivated all because the speakers were so wonderful and knowledgeable in their field of expertise. They happily shared tips and techniques with us so we can grow too as both individuals and social media professionals. Paying it forward at its best! In addition, I meet some really great people, learned a thing or two about blogging from the experts and got to experience that magic only Disney can provide. I even got to have my picture taken with the head honcho. He stopped by to say hello and wish us magical days ahead. Disclosure: I was invited to attend the Disney On-The-Road Social Media Moms conference in Philadelphia. This was a free conference and I have not been compensated for writing about the conference. I did, however, receive a cool bag of full of Disney swag (that rhymes) and promotional materials at the event. Build Your Own Disney Stick Family and Celebrate Your Disney Side! 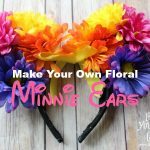 Pixie Dust, Magic and The Theory of Creativity at The Disney Social Media Moms Celebration! Sounds like a fun time! I’ve always wanted to be part of the Disney moms group! Seriously, I was obsessed with your outfit! It really stuck out to me! BEST DRESSED! Oh my. That is too kind. Thank you so much. Check out modcloth.com. That’s where I found it.